I captured this image this past summer. I thought it made it even more summery that it was sitting on my sun decoration in the garden. 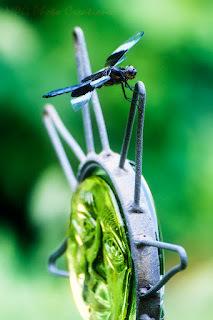 This is a Twelve Spot Dragonfly that decided to pose for me for a bit.